An ultra-gentle yet seriously effective way to enhance your everyday skin care ritual, the LUNA mini 2 Facial Cleansing Brush features three cleansing ‘zones’ with thin, thick and broad touch points to target delicate, normal and congested areas. With twice the power of the original, this accelerates your cells’ metabolism to help eliminate accumulated toxins and leave skin enviable clean, clear and luminous. 100% waterproof and completely hygienic, you can also expect up to 300 uses per single charge – it’s a skin care game changer! Available in five super-cool colourways, the souped-up LUNA mini 2 Facial Cleansing Brush generates 8000 T-Sonic pulsations per minute to maximise the efficacy of your cleansing routine, with minimal time and next-to-no effort. 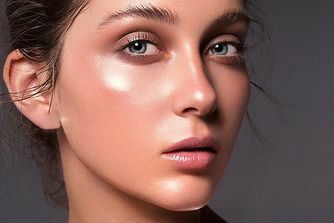 One minute is all it takes to leave your face feeling peachy-soft, clean and glowing as the sonic wizardry promotes micro-circulation to ‘feed’ your skin cells and encourage elimination of accumulated toxins. Perfect for those prone to breakouts, this unclogs pores and follicles to quickly counteract congestion, while simultaneously loosening the dead cells that contribute to dullness and pimples. A great gift for a teenager, this is also a more travel-friendly version of the full size LUNA 2 – ideal for jet-setters, it retains enough power for 300 uses from just one full USB charge. 1. Dampen your face and apply your favourite cleanser. Wet the LUNA Mini 2 and turn on. 2. Gently glide the LUNA Mini 2’s brush in circular motions over your face for 1 minute. Choose the appropriate surface - depending on your skin's requirements. 3. Rinse and dry your face. Apply your additional skin care products as desired. 1 x LUNA Mini 2 Sonic Cleansing Device. Comes complete with a USB charging cable. So cool to have a gadget like this. I was never big fan of face brushes but I have never tried silicone brushes before and it is a great revelation to me. Such a cool thing to use! I've been using this device (in pearl pink) for 2 weeks now. My skin feels really clean. As I did add some home acids to my regimen, I cannot tell what it's down to, but definitely together it makes my skin looking radiant and feeling fresh. Although I do not find the vibrations relaxing, hence I don't use it as a massager. But for cleansing it gives great results. I originally saw this but wrote it off. But as I needed a really need to exfoliate as I don’t currently as I find it messy, I thought I’d give it a try. It’s wonderful! I use it morning and evening with a cleanser and my skin looks outstanding. They say you see results after 3 days. I love it! You only need to scrub for a minute and it vibrates when the minute is up. But I could go on for longer. I also got a free one from cult beauty (mini Luna) with this purchase. Which is really nice. I’ll save that to use when travelling. I have a yellow one Foreo. Nice even to look at it, I think that it’s very good electric device to hold the skin in a good condition. I have a sensitive combination skin. I Use Foreo several times a week. Skin becomes rather clean. Maybe, it is not a indispensable device for your skin, but I enjoy using this with my cleaner and my skin becomes very soft and clean after it. Also, it is a very interesting process for me so now I never forget to use it in the morning/evening. Highly recommend it. Great device. The best for my skin. Of all the things about this product, I like the most the fact that I can carry it. I do not have to think about if I shall have enough time at home for my facial treatment with this facial cleanser. I can do it in the office when I have a break, sometimes even in the car. What else can I ask for? More features? Maybe, but that is not so important now. I wouldn’t say that it helps to clean impurities, I still have blackheads on my T-zone after a month of using it, but I do enjoy the process of evening face cleaning. I've had my Luna for about a year now and I love it. It's a great solution for sensitive skin, I felt and even saw results on first use immediately. Amazing!! 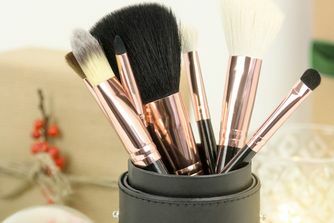 I often travel because of my job and I have been looking for this brush since ever! I am so glad that I can finally say that Luna is my best travel buddy, it's perfect and fits everywhere. I am super busy but every night before I go to sleep I use this cute device, and it is AMAZING! My boyfriend bought me this luna mini 2 for Valentine’s Day - he knew how much I wanted it, so brownie points to him! Yes, I really wanted this because I care a lot for my skin having a special oily skin condition. I’ve just used it a few times, and I feel like I am making some progress in terms of reducing the oiliness. I really like the rougher points to the brush that are getting through to my inner skin and cleaning it properly. There are so many different intensities too, which is good as it gives me options. My daughter’s been having problems with acne ever since she entered puberty and she was really self-conscious about it. She loves to watch youtube so one day she came across Luna mini watching one of her favourite youtubers. Of course, she had to have it. I was quite skeptical about it, especially because of the price, but after some time I gave in and bought it for her. She was so happy when it arrived and I just hoped it would work for her. She’s been using it for several months now, and we all noticed that her acne problem is almost gone. I was really impressed with the results. Her skin is much cleaner, and her confidence level is much better now. Bought for a friend and she is loving it. Her skin is sensitive but it didn't irritated her skin. This is a great product when you are looking to get the majority of dull debris skin away from your healthy skin. It has single handedly gotten rid of the deep plugs in my skin with a bit of acid toner which were always threatening to become new acne. However it gets 4 stars due to the sheer strength of the vibrations. I can use it about once daily at the end of the day but twice a day it is a bit too strong for me, and causes irritation. Magic! This has changed my life! I've had my Luna Mini 2 for about 2 and a half months now and my skin has never ever been better! Honest to god, it has completely changed the texture of my skin. It is so smooth, it looks plump and glowy and my pores have significantly reduced. I have always suffered with my combination/acne prone skin since being very young. I used to have a very rough textured forehead and dry skin on my nose despite it being oily. This has all completely changed, breakouts have also become infrequent. Make up glides on and people have complimented my skin. I feel more confident and often look in the mirror now astounded by how much better it has got all because of this product. Thank you Foreo! Absolutely amazing, do not hesitate to buy this product. It works miracles. Beauty routine every morning is so much easier and faster with my Luna mini 2. Grease that collects over the course of the day gets scrubbed off every night and my face is ready to rest. Received this in my Lydia box and combined with Omorovicza cleansing form the foreo Luna makes my skin clean and soft. I’ve seen a difference in the way my skin feels that I didn’t think possible. Emma. I got this after I saw my best friend bought it few months ago and it was all she talked about ever since. I see now what she meant as this is a first-rate brush for my face and I never had any silicone brush for my face. It is soft but forceful! I love love my Luna Mini 2, I have it in Fuschia. I use it twice a day with my cleanser and have noticed it gives me soft, supple skin. My face feels so clean and refreshed, I feel like its doing some sort of magic as its clearing away my acne too! So easy to use, some days I use in the shower. 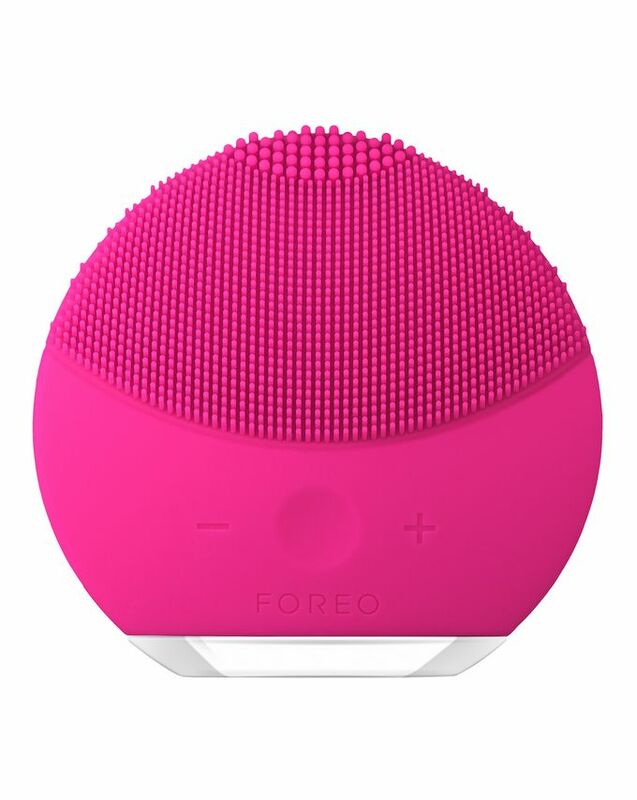 I first started using FOREO devices 1-2 years ago and I have always liked their products. Then, a couple of months ago I bought the LUNA mini 2 and I use it every night to cleanse my skin and it does a perfect job while leaving my skin super soft and clean (not stripped). I have sensitive skin and this does nothing to irritate my skin. Excellent little device that can be used in the shower, makes me feel totally refreshed and clean. I have never seen my skin like this, it’s fresh and glowy and many people have commented how well I look. The device is easy to use and clean and the size is perfect for traveling. Yes, this brush is compact but does wonders! I have never seen my face so fresh and relaxed. Cleaning without It is not an option anymore, it is just not the same. Only with silicone bristles does your skin get that polished radiating look. 5 stars to this brush! Great tool, absolutely love it! Highly recommend it. Great device! I had acne and scars and my face never looked better. Thanks to the Foreo LUNA Mini 2 which cleanses my skin perfectly combined with the Tata Harper facial cleanser. Love them both! Great team together! I wish I had bought Foreo sooner. Love the futuristic design, the user-friendliness, the silicone – serves its purpose. It’s small but effective, I see changes in my skin. The brush feels very nice in your hand and on your face. Other devices would irritate my skin. Makes a great gift for someone special. I had high hopes before I bought this facial cleanser. I am not sorry that I bought it but I am not truly overwhelmed. However, there is nothing similar on the market so maybe I am being too harsh. It does what it is supposed to do, you can choose different colours, but it is a bit pricey. Maybe I need time to get used to it. I’ll certainly keep using it. I'm in love with this cute little brush! Everything is just perfect about this face brush. I'm using it every day as my morning routine and my mornings are easier and more fresh since I'm using it. Perfect! I would recommend this product to everyone who struggles to have clear skin and is jealous of other people without any acne. It's helped me a lot. What I love most about the Luna mini 2 is the fact that it has so many different sections which all have a different function. This is a great thing to have because it allows the luna mini 2 to be very applicable in many different areas. If you are interested in buying this product I highly recommend it and I promise that you will not be disappointed with this product. Love the packaging! It’s so simple and light, and it’s made of silicone so it doesn’t hold makeup like some other regular brushes. And it’s really easy to clean it up. I travel a lot because of my work, so I decided to try Luna mini 2 and it’s wonderful! I can put it in my cosmetic bag and take it with me wherever I go, it’s so practical. I love this - I didn't think it would be effective when I looked at the "bristles" but it cleanses well and deeply. You can adjust the strength of vibration to what your skin can stand, and best of all it doesn't irritate my skin. Worth the price. I feel as though this brush really gets down into my pores, removes all impurities and revives my skin. I have noticed a significant difference in how my skin looks and feels after using this silicone brush. The FOREO Mini 2 is amazing! It helps to remove every last bit of makeup on the skin, and it helps the blood to get a better flow to the face! Absolutely love this! wish I’d bought it sooner. Makes your face feel so fresh and clean, and feels like you’re giving it a mini facial everyday. It helps me to maintain my skin healthy and glowy. This facial cleansing brush is amazing, it is simple and very efficient. I use it only once a day, before sleep, when I remove my makeup and clean my face thoroughly. It is very good so far and I will not change it any time soon.